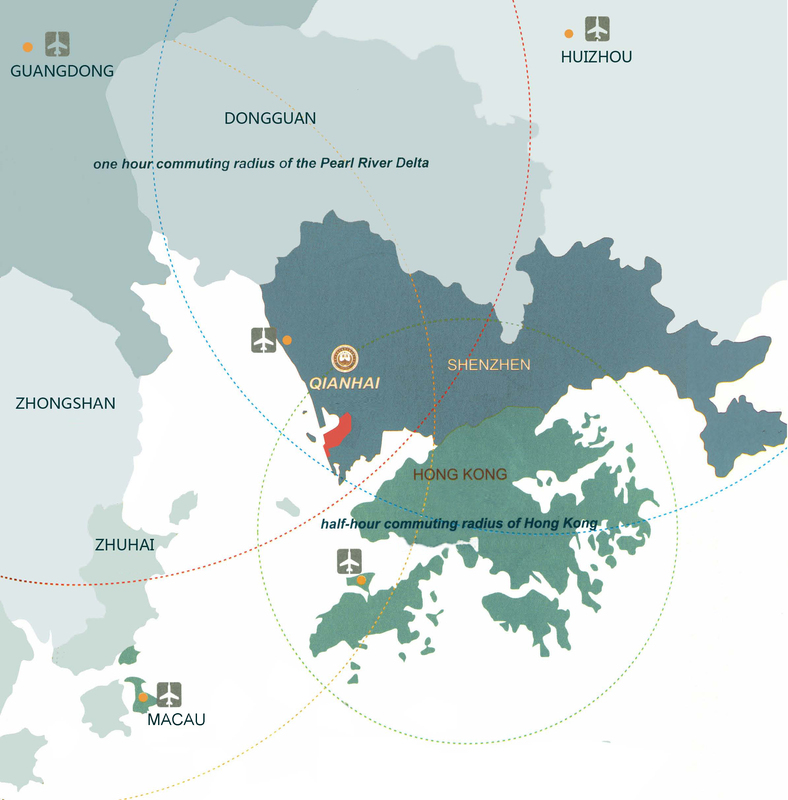 Located at the edge of Nanhai and adjacent to Hong Kong and Macau, the Qianhai Shenzhen-Hong Kong Modern Service Industry Cooperation Zone (hereafter ‘Qianhai’) sits to the west of Shekou peninsula in Shenzhen and to the east of the Pearl River Delta estuary. Encircled by the Shuangjie River, Moon Bay Avenue, Mawan Avenue and Qianhai Bay, it covers an area measuring 15 square kilometres, all from reclaimed land. Qianhai is connected to the South China Sea and the Pacific Ocean. Qianhai stands at the commercial crossroads of some of the world’s largest economies. For example, it is only 30 minutes away from downtown Hong Kong. Those with new inventions or products can get them manufactured and distributed in the Pearl River Delta in less than one week for half the usual cost.